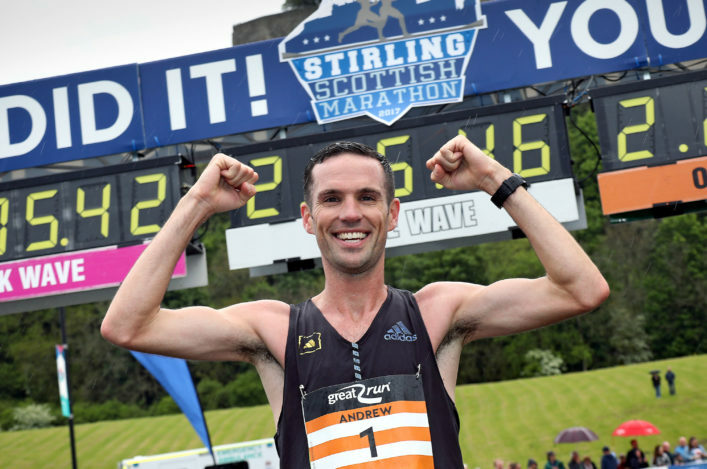 The Stirling Scottish Marathon is coming up on Sunday and will stage the Scottish Marathon Champs with medals on offer for individuals and teams. It’s the first time this event has been used for championship purposes after a couple of years when Scottish medals were allocated from performances at the London Marathon. 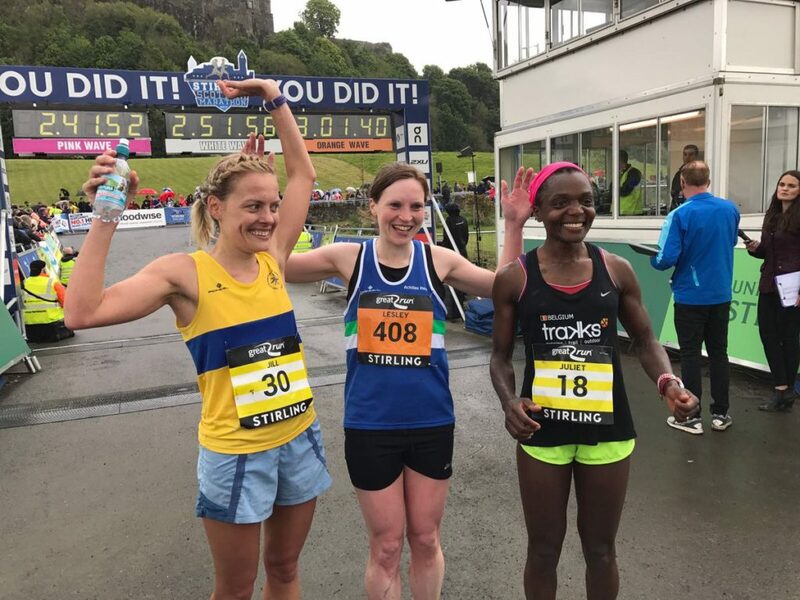 Stirling staged the marathon for the first time last year and this Sunday’s event features a new course following changes to that initial route in 2017. With around 3500 expected to race the marathon distance, there is also a half marathon race taking place. In the Scottish Marathon Champs we expect around 500 members to compete. 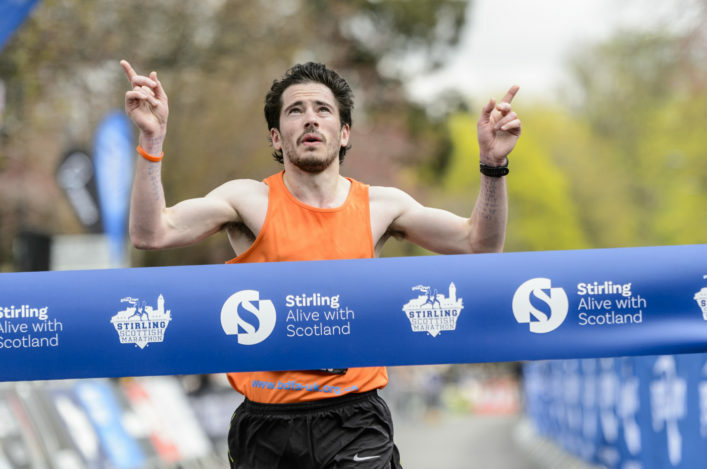 As host to the 2018 Scottish Ultra Trail Championships, this year’s starting list of over 800 will once again include some of the UK’s finest ultrarunners. The 53-mile race along the West Highland Way is arguably the UK’s biggest and most competitive ultra-distance event. The women’s race is going to be one of the hottest contested we’ve ever seen. Last year’s women’s podium finishers will all return to battle along the Bonnie Banks of Loch Lomond to the finish in Tyndrum. Last year’s winner, Nicola Adams-Hendry will return to defend her title. 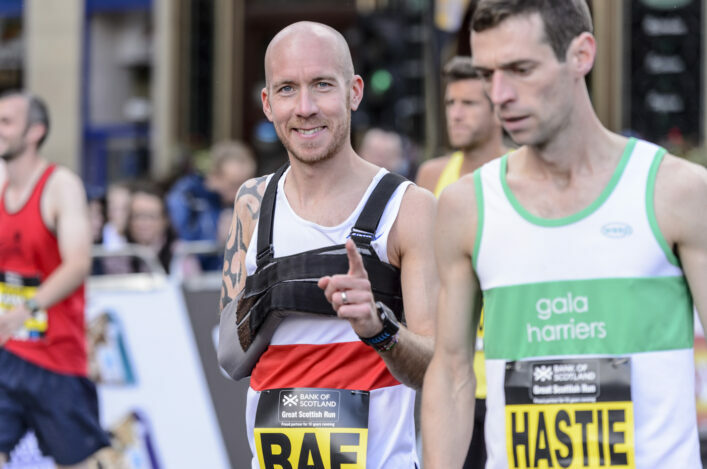 The Garscube Harriers’ athlete has been a force to be reckoned in the Scottish Ultra-distance scene over the past few years, winning the Scottish Championships twice. This will be her 5th Highland Fling. She has also won our sister race, the Devil o’ the Highlands, three times. We’re excited to see what Nicola Duncan can bring to the race. The Irish athlete who resides in Edinburgh and runs for Carnethy has a marathon PB of 2:33. Winning every ultra she competed in last year, she may have a crack at Beth Pascall’s 7:52 course record. Morgan Windram-Geddes and Rachel Normand (nee Newstead) who finished 2nd and 3rd last year will be looking for podium places and championship medals again. We also expect 100km internationalists Charlotte Black, Sophie Mullins (both Scotland) and Gemma Carter (England) to mix it up at the front end. Carter is fresh from a win at Country to Capital and a sub three marathon in Manchester. Local runner and resident Californian, Jamie Aarons has a wealth of ultra-experience and wins to her name and is sure to make her presence known. Two athletes, Neil Kirby and Jon Ellis, both multiple winners at Centurion Running events will be making the journey north with their eyes on the podium. Kirby has won both the SDW and NDW 50 and 100 mile races and shows current fitness with a win at the recent the Coast Trail Series in Sussex. Ellis can almost be viewed as a 50-mile specialist, with wins at SDW50, NDW50, Chiltern Wonderland 50, Wendover Woods 50 with his most impressive performance being 4th at the Swiss Alpine Marathon last year. The Highland Fling course will certainly play to his strengths.